Alabama native Dr. Larry D. Benefield is internationally recognized for his research in biological treatment processes. However, he is equally known for his commitment to furthering and enhancing engineering education. In 2012, Benefield retired after a distinguished career of more than three decades at Auburn University. He joined the institution as a faculty member and retired as dean of the Samuel Ginn College of Engineering. In 1966, Benefield earned his bachelor’s degree in civil engineering from Auburn University. He then spent four years as a civil engineering officer in the U.S. Air Force, where he was awarded the Bronze Star for service in Vietnam. 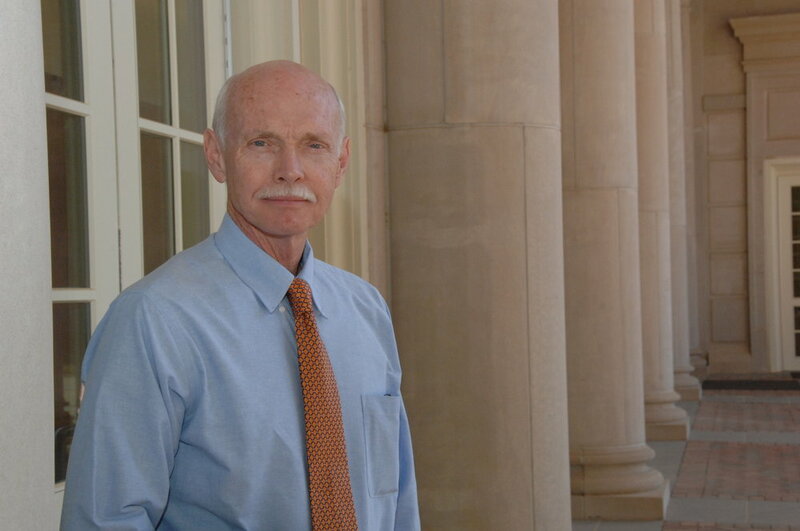 Benefield returned to Auburn and earned his master’s degree in environmental engineering in 1972. He continued his education earning his doctoral degree at Virginia Polytechnic Institute in 1975. Benefield joined Auburn University’s Samuel Ginn College of Engineering as an associate professor of civil engineering in 1979. He later served as interim associate dean for research and associate dean for academics for the College. In 1998, Benefield was named interim dean of the Samuel Ginn College of Engineering and was appointed dean in 2000. As dean, Benefield led the Samuel Ginn College of Engineering to significant advances, attracting the attention of peer institutions and moving Auburn Engineering to the highest rankings in its history. Under his leadership, the College successfully completed a $154-million facility enhancement program and launched the nation’s first undergraduate degree in wireless engineering. The College also added minors in automotive manufacturing engineering and nuclear generation systems. Partnering with the College of Business, Benefield established the Business-Engineering-Technology Program, which integrates engineering, business and management practice for engineering and business undergraduates. He oversaw the opening of Auburn’s MRI center and played a pivotal role in the launch of the Auburn University Huntsville Research Center. Benefield was instrumental in establishing the Minority Engineering Program to recruit and retain underrepresented minorities and women in engineering. Auburn University’s Samuel Ginn College of Engineering saw their undergraduate program rise as high as 28th in the nation and graduate program rise to 40th among public institutions. The faculty’s efforts have placed Auburn in the top 50 in research expenditures in each of the past six years. Benefield has an international reputation for his research and applications work in biological treatment processes and, in particular, biological nutrient removal. He has served as the principal author of three highly regarded texts in the environmental engineering field and has published 41 refereed publications and 77 other publications and technical presentations. Benefield holds a professional engineering license in Virginia. In 2004, Virginia Polytechnic Institute inducted Benefield into the Department of Civil Engineering’s Academy of Distinguished Alumni. He was elected to the State of Alabama Engineering Hall of fame in 2013 and served on its Board of Directors until his retirement in 2012. He was also a board member and vice chair of the National Center for Asphalt Technology. In 2014, he was awarded the Lifetime Achievement Award from Auburn, the university’s highest honor. Benefield and his wife, Mary, have been happily married for 42 years. They are proud parents of two children and have two grandchildren.